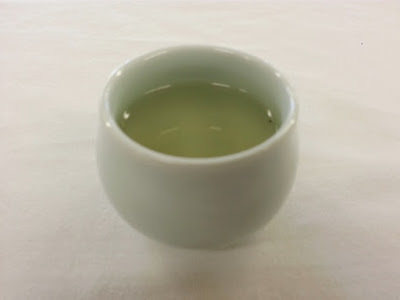 On March 5th, Mrs. Jung Hee Park presented a Korean tea ceremony with Tulkkae ch'a (wild sesame/perilla tea). Traditionally, Tulkkae Ch'a (들깨차) was served by the mother to the daughter before she marries as it contains nutrients that are believed to enhance appearance and skin tone. Perilla leaves are also used in Korea to wrap fish to reduce odor and to wrap beef to break down the protein. The flower, which is the only part used in Tulkkae Ch'a, is harvested at the end of Autumn when the seed pods have developed. 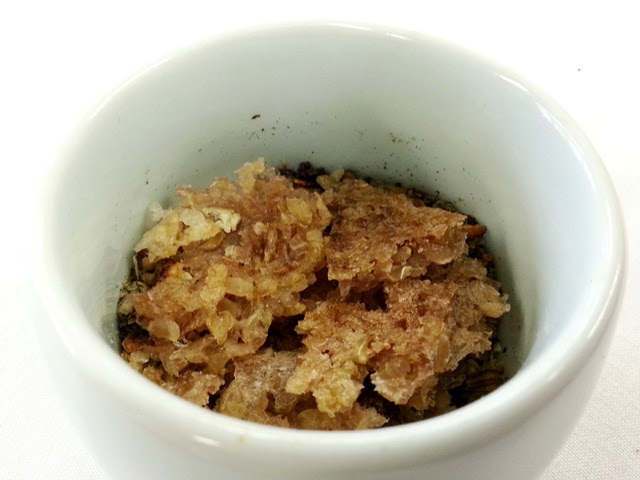 The Tulkkae Ch'a is prepared with bottom rice called Nurungji. When cooking rice in an iron pot, the Nurungji is the scorched rice found at the bottom that has soaked up some of the minerals from the pot. The bottom rice used in this tea ceremony was very special as it was prepared in the pot that has been at Tongdosa temple in Yangsan, South Korea since its founding in 646 CE (over 1,300 years!). First, the tea bowls are warmed, then the bottom rice is added, followed by the tea which is prepared at 100°C/80°F. The tea cups used in this ceremony were handed down from Mrs. Park's mother and are almost 90 years old. 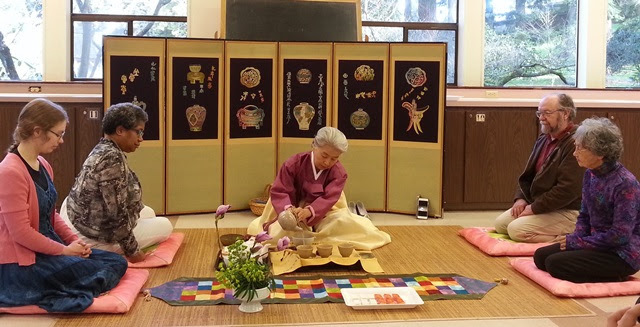 Because Korean tea ceremony is social and interactive, guests were given the opportunity to join Mrs. Park and to be served in these special tea bowls. 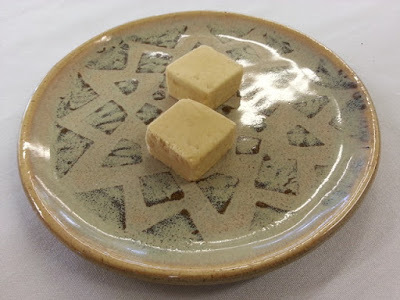 Alongside the tea, we enjoyed mung bean and lotus seed sweets. 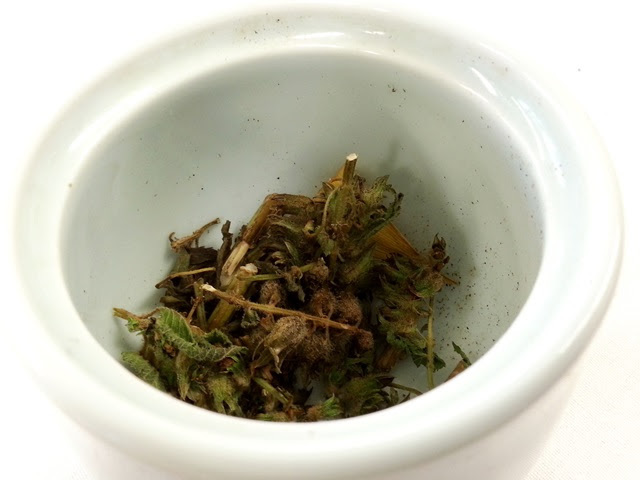 The tea flavor and aroma was light and velvety, sweet and savory, herbaceous and floral. 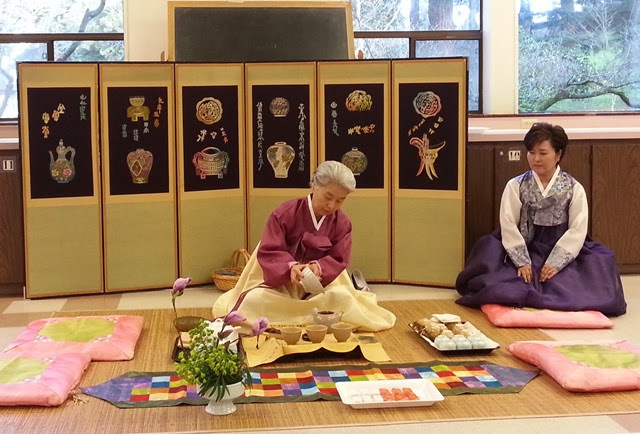 Thanks to Mrs. Park, Gina, and to the APCC for presenting this rare and memorable tea ceremony!